Slovenia is a beautiful country in southern Central Europe, it shares a border with Italy, Austria, Hungary, Croatia and the Adriatic Sea in the South West. It is better known as the Land of Rivers. The fishing season in Slovenia starts in March and ends in November. Only fly fishing is permitted during these months. During the winter months, fishing (all methods) for the elusive Danube Salmon or the Huchen or Hucho Hucho is popular. 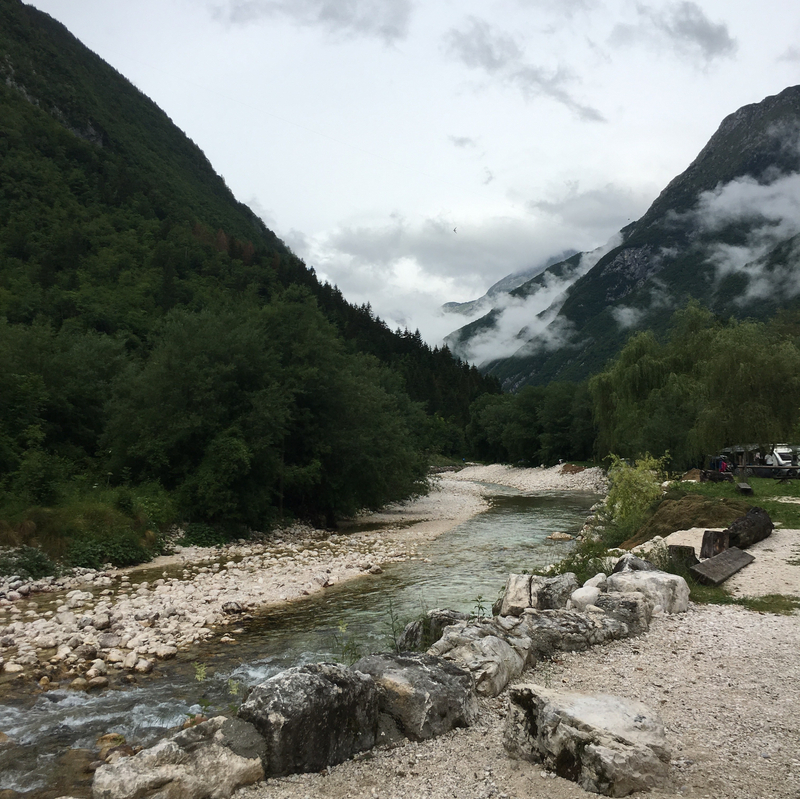 I planned a trip down to Slovenia’s famed emerald green- gin clear Soča River (25 & 26th June ’18) to fly fish for trout hoping to land a Marble Trout as I was to be in Europe anyway. The good people at GoFlyFishing Slovenia walked me through the entire process extremely well. They ensured I was well equipped for alpine river trout fishing in frigid cold glacier melt waters, even provided an extra pair of waders and wading boots (Simms, no less) for Ling, at no extra cost! Picked me up each morning and dropped me back at my accommodation each fishing day. 10/10 for service if you ask me. Getting around in Slovenia is easy. People speak English and are extremely helpful. We stayed in the area around Lake Bled, in the North West of the country, the gateway to Triglav National Park, the only national park in Slovenia. Triglav is a gorgeous place. It houses the Soča, and many other rivers. It is also part of the Julian Alps which I hope to climb one day. The town of Bled is a short 30 minute ride from the airport and would cost about 18-20 Euros per person, expensive but that is probably the only time you’d pay for a car ride as bus service is excellent in and around Bled. We got around most of Bled on bicycles that were provided by our hosts, no better way to see Bled in my opinion than on your own 2 wheels. Fishing in Slovenia on the other hand is not quite as simple. Each river in Slovenia is unique, this means having to constantly adjust and perfecting all the aspects of fly fishing from casting to fly selection and presentation. There are many fishing/tackle shops in Bled and most of them should provide guiding services as well as sell fishing permits. However, the main problem I realise from speaking to the various fishing outfitters is that they tend to only take you to the rivers that are more popular such as the Sava Bohinjka or Soča. If you really want to get a shot at those big trouts or specific species like the Marble Trout that hide away in the Slovenian rivers, I suggest doing some research and speaking to individual guiding companies such as GoFlyFishingSlovenia. They take you through the entire process and tailor their services according to your goals and what you want to achieve. I had said to them before I went up that I wanted a shot at Marble Trouts and big Rainbow Trouts, they delivered just that, with some very very nice Brown Trouts as well. Hence, we spent one of the two days on the mighty Soča. The Soča is probably the most famous alpine river in Slovenia probably because it is set in breathtaking scenery overlooking the Julian Alps and it houses the elusive Marble Trout. My guide, Boštjan Podbevšek was a no-nonsense hard man and ex-Yugoslavian soldier. He was not hesitant to take me back to school with his consistent stern reminders for me to “mend up!” and “mend down!”. Sometimes I think he meant for me to “Man Up!” instead. It was a good kind of pressure though. The kind which motivated me to concentrate on the fishing, and to focus on catching that trophy trout – which eventually worked out and celebrated by all of us. In Slovenia, there is a fishing permit system where an angler purchases a permit to fish a certain river. This system is enforced (very efficiently) by bailiffs or rangers who take their jobs very seriously. During the 2 days I was fishing, we had a few phone calls to and from these rangers exchanging information and updating them on how we were doing. In one instance, after netting a fish and preparing it for a photo, it slipped from my hands and onto some rocks in a shallow pool. This did not go unnoticed and my guide received a call from a ranger telling us to handle the fish more carefully and in the water next time. Perhaps this system of enforcement could be adopted in Singapore. I shall let the pictures do the talking as they paint a thousand words and no words would do the beauty that is Slovenia any justice. Most of the fishing was with nymphs as the hatch was not exactly happening and the fish were not really rising. We did see a few rising fish and when we did, we immediately switched to a dry fly and of course, there is nothing else to be said. Dry fly fishing is probably the most visually satisfying kind of fly fishing – when you can see the fish rise and have a go at the fly which was exactly how I caught that elusive Marble Trout. As usual, the Loop Opti Stream, paired with the Loop Opti Still Water line was my rod of choice – perfect for trout fishing even when casting heavier nymphs for those deeper pools or faster rapids.